Your website is the online face of your company. These days, your company most certainly will be found online and first impressions are lasting. You might have a website that drives a decent amount of traffic but when was the last time you updated it? Trends change very often – not only design trends but SEO trends too. And while you might have invested in a state of the art website a few years ago, chances are it is outdated now. But don’t worry, not all is lost. You can easily upgrade your website with the help of a WordPress developer in Cape Town. WordPress is the platform of choice when it comes to website design. The WordPress design platform is used for 20% of websites found online. And it’s clear why – it’s user-friendly with uncountable free and paid themes. You can add any functionality to your website by installing a plugin – there’s a plugin for literally anything! Another benefit is that it can be updated from any computer anywhere in the world. If you have a computer with an internet connection, you’re all set. You can even set up multiple users with different levels of access to update your website on a regular basis. There’s no reason at all for you to have a mediocre website if you can have a WordPress website designed by professional WordPress developers in Cape Town. 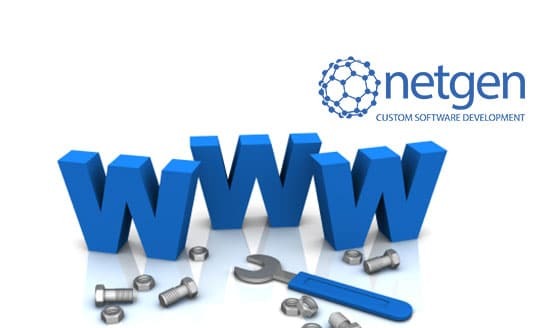 Netgen can create a custom website for you, with all the functionalities you require, in no time. Now you too can stand out from your competitors and make a lasting impression on everyone who finds you online. Get in touch with the team at Netgen if you need more information or if you’re ready to upgrade your current website.